The Alternative Dispute Resolution panel looks particularly interesting. The International Criminal Court may be on the verge of dramatically increasing the profile of cultural heritage crimes. Perhaps even ushering in a new era of thinking about international criminal law’s role in the destruction of cultural heritage. The people of Mali deserve justice for the attacks against their cities, their beliefs and their communities. Let there be no mistake: the charges we have brought against Ahmad Al Faqi Al Mahdi involve most serious crimes; they are about the destruction of irreplaceable historic monuments, and they are about a callous assault on the dignity and identity of entire populations, and their religious and historical roots. The inhabitants of Northern Mali, the main victims of these attacks, deserve to see justice done. This news is an exciting development in efforts to enhance protection of cultural heritage and bring the perpetrators of cultural attacks to justice. At the same time however, it throws up many more questions about the broader definition of ‘culture’, victim participation in cultural matters, and whether this could give the Court a unique opportunity to tackle an issue of growing importance in international law. At the time Haidara also had no idea if the militants knew how many manuscripts were in Timbuktu or how valuable they were. But quietly, determined not to attract attention, he laid contingency plans. With funds that Haidara’s library association already had on hand from foreign donors, he began purchasing footlockers in the markets of Timbuktu and Mopti, and delivered them, two or three at a time, to the city’s 40 libraries. 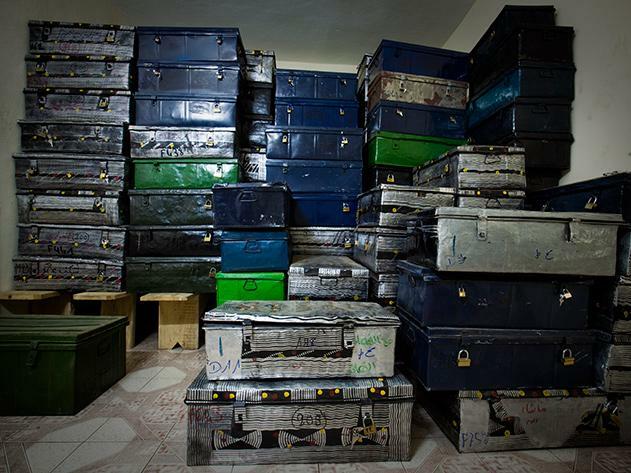 During the day, behind closed doors, Haidara and his assistants packed the manuscripts into the chests. Then, in the dead of night, when the militants slept, mule carts transported the chests to safe houses scattered around the city. Over three months, they bought, distributed and packed nearly 2,500 footlockers. In the searing summer heat, and against a stifling climate of fear, the Ansar Eddine is ratcheting up the pressure. In late July the group gave the order for the city’s centuries-old Sufi mausoleums to be leveled, declaring them to be at odds with their own hardline blend of Islamic faith. A UNESCO World Heritage site, Timbuktu has for centuries been associated with Sufis, a mystical and spiritual fraternity, themselves closely connected with Islam. More than 200 Sufi saints are buried in free-standing mausoleums and within the compounds of mosques, tombs that have become the latest target of the Defenders of the Faith. 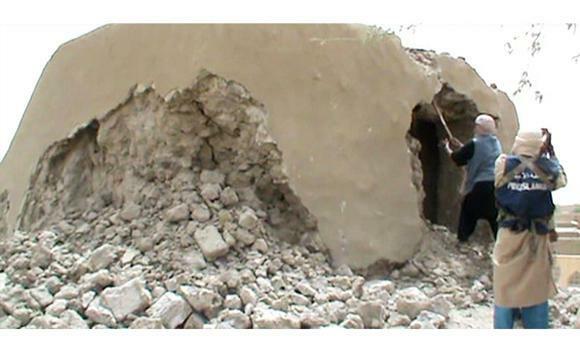 Regarding them as idolatrous, the Islamist militia has taken hammers and shovels to their baked-mud adobe walls. They even destroyed a pair of ancient tombs set in the compound of the city’s celebrated Djingareyber mosque. Tahir Shah, Trouble in Timbuktu, Newsweek Magazine, 2012, (last visited Sep 5, 2012). Members of an armed group in Northern Mali have committed a number of acts of destruction in Timbuktu and the surrounding areas. They have smashed the “sacred door” of one of three ancient mosques. As many as six other mausoleums have been intentionally destroyed. Intentional destruction during armed conflict presents difficult problems, and Mali has asked the international community for concrete assistance. The first step is a threat by the ICC. The prosecutor of the International Criminal Court Fatou Bensouda has described this destruction as a war crime: “My message to those involved in these criminal acts is clear: stop the destruction of the religious buildings now. This is a war crime which my office has authority to fully investigate”. Her claims may have an impact, but more other concrete steps may be needed to halt this intentional destruction. The destruction mimics that which took place in 2001 when the Bamiyan Buddhas were destroyed. Extremist groups in Mali are systematically destroying sites. Perhaps urgent action by the ICC, or better yet the United Nations Security Council can halt this systematic destruction. Pascal Fletcher, Timbuktu tomb destroyers pulverise Islam’s history, Reuters, July 3, 2012, http://www.reuters.com/article/2012/07/03/uk-mali-crisis-timbuktu-idUSLNE86202G20120703 (last visited Jul 3, 2012).